Pegmatite outcrop at Spodumenberget. Photo by Novo Litio. 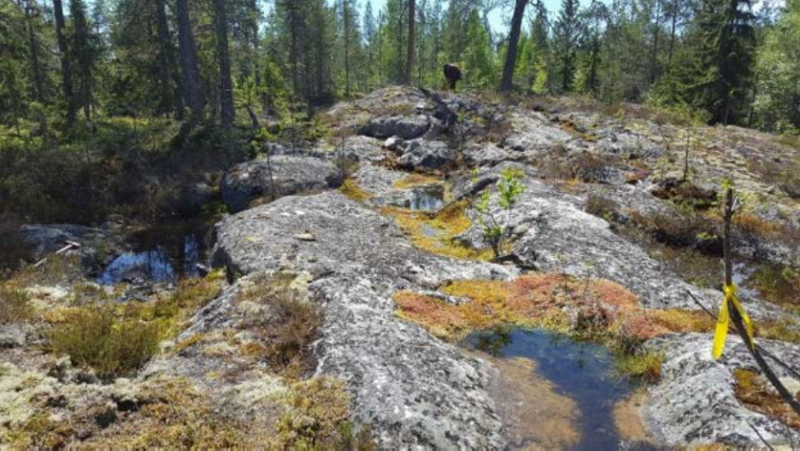 Novo Lítio (ASX:NLI), a company that praises itself for “supplying lithium from Europe to Europe,” announced this week that it plans to start drilling at its Spodumenberget lithium project in Västernorrland County, Sweden, before year-end. The Australian explorer is just waiting for local stakeholders, landowners and authorities to approve its initial drill programme, which is expected to target high-grade results from previous surface sampling, including 2.77% Li2O from spodumene-bearing rock chip samples. In the same release, Novo Lítio CEO David Frances said that since Spodumenberget has exhibited encouraging high-grade lithium mineralisation at surface, he and his team are very keen to test their exploration models with some first-pass drill holes.